The next printable quote inspired by living green is one of my favorites! For me living green is a simpler way of life and has brought my family back to basics in many aspects (food, cleaning, owning less…). I love this Live Simply quote because it reminds me living a simpler life actually enhances so many other areas of my life! 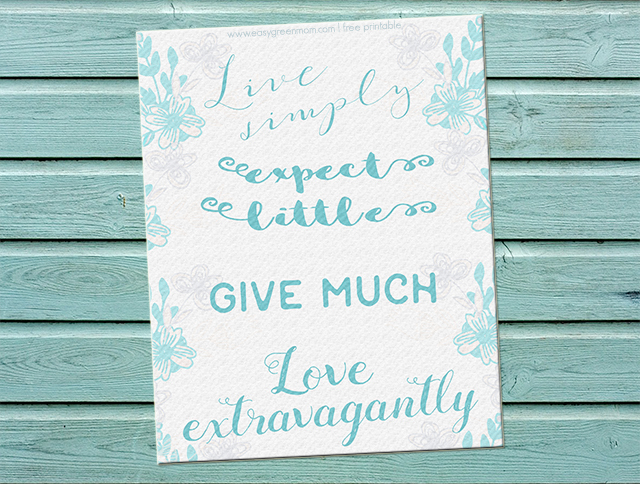 Click Here for “Live Simply Printable.